Traverse Legal, PLC and the Tenzer PLLC in Miami represent Heron Development Corp. (holder of Palace Resorts’ trademarks in the United States) in a Anticybersquatting Consumer Protection Act (“ACPA”) and Trademark Infringement case pending in the United States District Court for the Southern District of Florida. The Defendants in the case are Vacation Tours, Inc. (AKA: Vacation Store of Miami), Media Insight Group, Inc., George Alvarez and Rosanna Mendez. A complete list of public documents concerning this lawsuit can be found on PACER in the US District Court for Southern District of Florida – Miami Division Case No. 1:16-cv-20683-FAM (subscription based). Some of the court documents are found in PDF format below. Defendants Vacation Store of Miami and Media Insight regularly register trademark protected hotel names as domain names and then market their travel and vacation services on those websites. 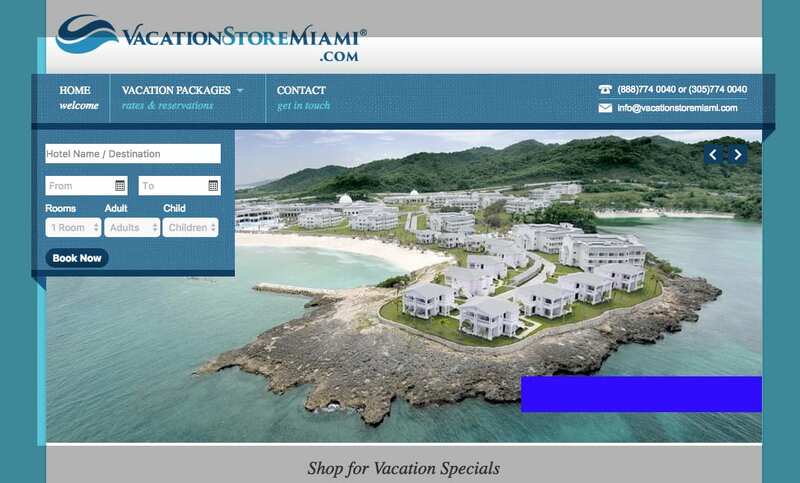 Several hotel groups have taken issue with Vacation Store of Miami and Media Insight over their registration and use of trademark protected domain names by Defendants, alleging cybersquatting and trademark infringement. Some of the WIPO Uniform Domain Name Dispute Resolution Policy (“UDRP”) cases against Media Insight can be found here. Some of the NAF UDRP decisions can be found here (search “Media Insight” as Respondent). Media Insight regularly argues that the resort owner gave permission for them to register and use the domain names, but resort owners often disagree that any such permission had been granted or argue that any such permission has been revoked. In the decision below, the court rejected Defendant’s arguments about permission, authorization, laches, acquiescence, etc. in granting an injunction precluding further registrations that infringe Palace Resorts’ incontestable registered trademarks and requiring the infringing domains to be forwarded to the appropriate Palace Resort website for each hotel. The Amended Complaint filed against Vacation Store of Miami and Media Insight Group, Inc. is set forth below. An example of one of the allegedly infringing domains, and associated websites, is found here at http://www.beachpalacecancunresort.com/ (soon to be forwarded pursuant to the injunction to the correct hotel owned and operated by Palace Resorts). f. MOON PALACE, reg. no. 2453148, (Registered on May 22, 2001), (Incontestable on May 18, 2007). k. SUN PALACE, reg. no. 3622188, (Registered on May 19, 2009), (Incontestable as of May 19, 2015). 19. All of the Infringing Domain Names are identical or confusingly similar to the Palace Resort incontestable trademarks, with each Infringing Domain Name incorporating the resort name and directing viewers to a website that markets travel services and hotel reservations for the specific, corresponding Palace resort property. 20. While some of the Infringing Domain Names were registered before, or in anticipation, of the opening of a specific hotel, Defendants have renewed and continue to use all of the Infringing Domain Names with live websites mimicking the Palace Resort hotel websites through the present. 31. The Infringing Domain Names and websites have repeatedly caused actual customer confusion about Palace Resort’s rates, services, and many aspects of Palace Resort’s hotels, services, and business. These actions have resulted in a loss of goodwill with Palace Resort customers. 39. Because Defendants have repeatedly and unjustifiably refused to cease using the domain names after the Wholesale Contract was terminated, an injunction is necessary to prevent continuing irreparable injury, i.e., continuing actual customer confusion and the resulting harm to Defendants’ brand, reputation, and goodwill. 40. The public has a legitimate interest in not being misled or deceived as to the origin of trademarked products. See Nailtiques Cosmetic Corp. v. Salon Sciences, Corp., 1997 WL 244746, at *5, 41 U.S.P.Q.2d 1995, 1999 (S.D. Fla. 1997) (“The interests of the public in not being victimized and misled are important considerations in determining the propriety of granting injunctive relief.”). 46. “[C]onsent is a defense only with respect to acts undertaken before there has been an effective termination of the consent.” 6 McCarthy on Trademarks and Unfair Competition § 31:42 (4th ed.). When active consent merely is implied, it “is generally terminable at the will of the licensor.” Conagra, Inc. v. Singleton, 743 F.2d 1508, 1516 (11th Cir. 1984) (citations omitted). 47. Plaintiff has never expressly stated that it approved or authorized Defendants’ actions or that it would not pursue legal action against the Defendants. Thus, at best, any active consent can only be implied, and thus is terminable at will. ADJUDGED that Plaintiff’s Motion for Preliminary injunction is GRANTED solely as to Count 1 (Anticybersquatting Consumer Protection Act). Accordingly, during the pendency of this action, Defendants are: (1) prohibited from registering domain names that incorporate, in whole or in part, the Palace Resort registered trademarks that have become incontestable; and (2) required to change the Domain Nam e Service settings on all the Infringing Domain Names to forward website traffic to the appropriate Palace Resort webpage. For example, Defendants’ Infringing Domain Name <http://beachpalaceccancunhotel.com> must be forwarded to Plaintiffs website for the Beach Palace in Cancun <hup://palaceresorts.com/beachpalace/en>. DONE AND ORDERED in Chambers at Miami, Florida, this 20th of May 2017. As noted above, Defendants typically argue that they have permission or that the Plaintiff’s knowledge of Defendant’s registration and use of the domain name authorized use. While these defenses can sometimes work in a UDRP case because the UDRP won’t resolve such issues (not the appropriate forum), a court case is a forum where these issues can be addressed. In this case, the Defendant’s argument about permission was rejected by the Magistrate Judge and the Trial Judge. Even assuming a marketing manager knew about the domain names or granted some level of permission, the court ruled that such permission can typically be terminated at any time by the trademark owner, that the cease and desist letters terminated any such permission, and that Defendants were likely to lose on the merits at trial. If you believe that Vacation Store of Miami or Media Insight has registered domain names which infringe your trademarks, please have your attorney contact us today. If you have lost a UDRP decision (which only addresses limited issues and will typically be denied if Defendants argue an existing business relationship or permission), this does NOT mean that you do not have legal rights that can be asserted in a court of law, which has much broader jurisdiction over these types of issues. For more information, or if you are witness with information about Vacation Store of Miami or Media Insight, please contact Enrico Schaefer at enrico@traverselegal.com or call 231-932-0411.